Not sure how some people got this to work on 1.13.2 but is there an estimate on when this will be updating to 1.13.2? Did you read page 1 of this thread? EDIT: Currently talking with the Rift dev on Discord. Says it should be fixed in a few hours. Founding member of the Madminers! vanilla did something that wasn't completely optimized to find the first light reducing block I'm sure, but it then stored it in an array that offered quick retrieval. Recalculating to adjust the array probably sucked each time there was a block or lighting change so that's probably why it's gone. isWaterlogged didn't seem to be a problem for it in 1.13. I Do render glass and fences, but in a separate layer from light blockers. I want to render what is under them, since they are mostly see through. The oldest version of the map only rendered that layer, and later added the option of glass and fence blocks etc. If I just rendered glass (mostly see through) what color would I blend it with? Need what's underneath. Binary search would certainly be a whole lot faster than iteration for those instances where there is glass high up above the ground. For instances where WORLD_SURFACE is a plant or flower or torch or grass immediately above the ground, iteration would be a lot faster. OTOH Those can be ignored by looking for MOTION_BLOCKING, which would give me the ground underneath. Fences on the ground would not though. For a fence on the ground iteration is the fastest (just looking at the next one down), while for one in the air a binary search is quite likely to be faster. Check next block down and if still needed after that binary search? Hey there - I'm getting weird coordinates on the worldmap on 1.13.2. On the minimap it says I'm at +129, -243. The worldmap says it's +106, -259 when zoomed all the way in. Zoomed all the way out says -670, -740. This also makes waypoints come out wonky if I try to add them by coordinate. Adding them for the place I'm standing works as designed. Issue: Explored areas become blacked out, once in a while become revealed. Right before loading the "M" map, I see my explored map every time, then it wiped everything to black. It's there, saved somewhere. I just want to see what I've explored. Lately, it randomly started to wipe my explored areas. I can manually trigger the wipe by pressing "M", and clicking "Multiworld". Although I click the "Overworld"(my default nametag for the server), it resets my map. Lately, it started to randomly wipe my explored area WITHOUT clicking "Multiworld", as previously mentioned. I feel like there is a cap to cache/ram. Once in a while, randomly, I get my old waypoint and explored area revealed to me. I take screenshots etc but that defeats the purpose of the addon. Are there any Memory or Cache leaks I should be looking out for, or is this a known issue I've missed searching. 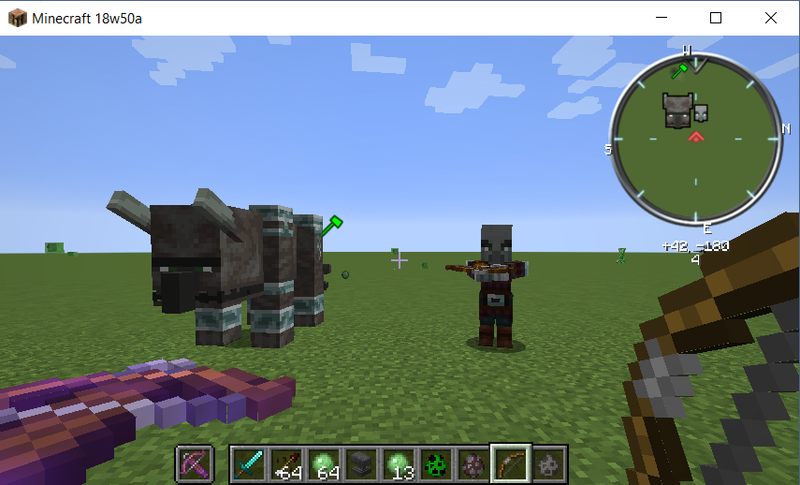 Is it possible to add custom icons for the mobs? I'm trying to use the pixelmon sprites to show the pokemon on the map. Currently, it shows the colors of the pokemon, but the shapes are not correct, I would like to use the sprites instead. Yeah, it seems from moving the cursor that the coordinate display changes corresponding to the area of the map. However, the further zoomed out I am, the more off the coordinates displayed are from the actual world. If I want to get an accurate coordinate set from the world map, I have to zoom all the way in, and even then can be 50-100 meters off from where I am in the world. When zoomed all the way out, it's wayyyyy off. As an example, I'm currently standing on -340, +250. I hit 'M' for world map and hovered the cursor above my icon. It says I'm at -1150, -242. The numbers change depending on where the map is centered. Edit - I think I figured out what's going on. In the world map, it's calculating coordinates relative to the top left corner rather than relative to the center. That's why it's more accurate the more zoomed in I am. I just tried zooming all the way in and putting my icon in the top left, and it gave me the correct coordinates when I hovered the cursor over my icon. Does that make sense? My large map and waypoints never save when I shutdown my PC. I can confirm my friend also had the same problem. Our version is 1.13.2 and we use Optifine along with the minimap. The minimap works, but the rivers are all invisible, and I can't see my inventory. Do you have any ideas how to fix this? I run my own 13.2 server and everybody that is using it has VM installed. I'd like to view slime chunks but am having an issue when entering the seed. Every time I press a key I get double characters in the window. The seed is 106012 (I think - working from memory here), but typing it in without hitting backspace results in 110066001122. So I delete the extra characters and hit enter and the entry returns to "seed unknown" and the slime chunk option remains grey. It is doing this on my system and at least one other players system. Any idea what is causing this? Hello! I'm trying to get VoxelMap to work on 1.13.2 in MultiMC, but I'm running into an issue with crashing. 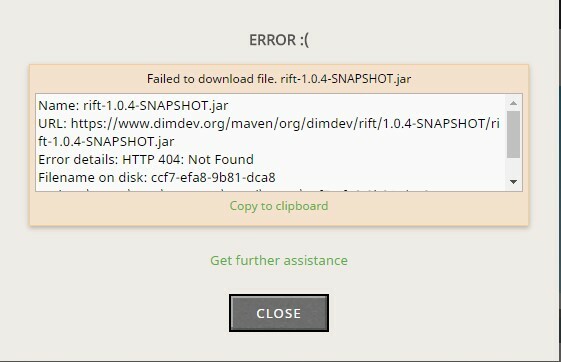 Rift works by itself on 1.13.2, but installing VoxelMap causes this error: https://pastebin.com/63ZhxhHP. Any ideas what might be wrong? Thanks!